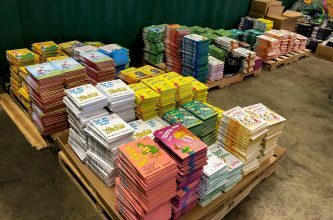 There are tried and true fundraising techniques that bring GFWC clubs success every year, but sometimes a club thinks outside the box. When Marian Ambrose became the new president of the GFWC Melbourne Woman’s Club (Florida) four years ago, she searched for a way to raise funds that was both entertaining and fairly easy. She tried to think of something that hadn’t been done before that would appeal to a large group of people. That’s where the idea of a GFWC Psychic Fundraiser was born, and it’s been going strong ever since! The club invited famous psychic medium, Jeffrey Wands, to do a presentation. He “read” the audience for an hour or so. During a 20 minute break, the club served cookies, cakes, and beverages to the audience. They also took the opportunity to play a video that showed the club’s charitable activities, allowing them to attract potential members. Afterwards, Jeffrey held an hour and a half Q&A, followed by a book signing. This year, the club raised additional money during the event with raffles. Jeffrey donated some of his books, as well as a free private reading for one lucky winner. The evening resulted in $3,400 in profit for the club. It was also a victory in engaging their community and getting interest in the club. They received emails and text messages thanking them for providing an enjoyable and moving experience, with requests to be put on the mailing list so they’d know when Jeffrey would return. By offering an imaginative event unlike any other in their community, the club established a successful fundraising tactic that continues to draw a crowd each year. They aren’t the only ones with mystical fundraising ideas. 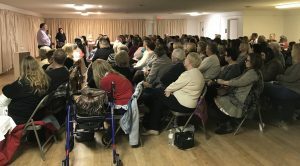 The Century Club of Amsterdam (New York) held its fifth Psychic Fair in 2017. The club always hosts it in October because the Halloween mood makes it the time of the year with the most interest. The club enjoys welcoming the public into their home, especially for an exciting event like their fair. Psychics decorate their space to fit the mood, and the club sets up dividers to give them privacy. In addition to psychic readings, guests can enjoy tarot cards, stones, palm readings, and aura reflections. Since there’s often a wait for the different types of readings, the club offers lunch for their guests. There are also vendors with jewelry, leather goods, oils, massages, and cleansing sessions, so there’s something for everyone! 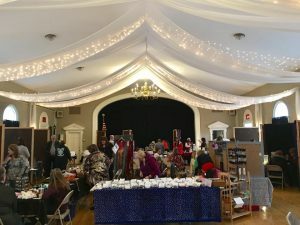 By tapping into the otherworldly, these GFWC clubs have created unique events that serve them well. We don’t need a fortunate teller to know their success will continue.